A new revolution is already going on with small and big sized business marketing and it’s called SMS. The term SMS is known by text message. Mobile marketing through SMS strategy is the modern way to catch fire from over the few years especially. SMS marketing is widely used for sending messages directly on the contact numbers of prospects and customers. The reason why many businesses are adding bulk SMS services to their marketing strategy is pretty obvious- people love their phones and they have found active than desktops! When you considered the cultural impact the modern smartphone has had, it makes sense that marketers would find a right & effective way to introduce marketing strategy. Some of the small businesses have started choosing online bulk SMS panel to send text notifications, reminders and alerts. Because they have less marketing budget and they have to rely on the cost-effective medium. On the other hand, businesses like E-commerce, Auto-Mobile, Media & Entertainment who usually has a higher consumption of text SMS are moving towards the fastest form of communication. 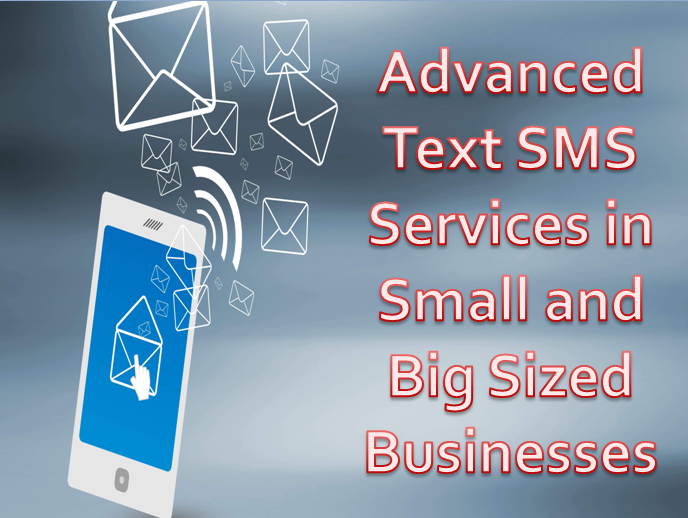 Bulk SMS aggregators who have already established their business are adopting Short message peer-to-peer, SMPP Server to deliver thousands or billions of text messages in seconds. SMPP is a protocol that is highly recommended for aggregators who assured their clients for 99.9% delivery on all SMS marketing campaigns. Even, we know that bulk SMS service providers already having large traffic on their server and they don’t have scalable load balancing mechanism. So, to provide a best SMS marketing experience to clients they have to rely on SMPP Server API gateway nowadays. Marketing is all about staying solid in the front of your consumers and building a strong relationship. So, don’t think that ‘’marketing’’ as an aggressive sales messaging. Every business owner goal is to make their relationship alive and build a good reputation. What are some best ways to use SMS marketing strategy? Doctors do this very genius! Yes, this is a form of marketing. It increases the chances of getting people more at the clinic. Dentist, Physicians can never miss any appointments. A simple text SMS will remind people at what time and date they have to reach. So, they might be postponed or complete their work on time. Having a festival sale? Want your potential customers to know about it first? SMS is a fantastic way to reward your SMS marketing subscribers. Send them doorbuster deals and coupon codes on mobile before you send it to anyone else! According to the study, mobile coupons are 5 times more redeemable than those printed ones. Customers would love it! Just as like you send an email newsletter in a week to stay in front of your customers, a weekly tip right on their cell phone is a great way to keep that relationship alive and well. So, this is just an idea to get you started with SMS marketing strategy. I am looking forward to your comments if you have any other ideas or innovative ways you’re already uses SMS services in your business then leave a comment in the below box.